I don’t normally write movie reviews, but I feel so strongly about Pixar’s newest release, I’m making an exception–especially since a recent post centered on the value of princess stories. Stories like those, no matter what the medium, need to be told. My deep appreciation and love for Pixar films obviously led me to have extremely high expectations for Pixar’s first female protagonist and princess, Merida. We were ready for an epic princess adventure. But it wasn’t compelling. Instead of a vibrant, fresh approach to what Disney has been doing for nearly 80 years, Brave felt forced and flat. I’m perfectly happy without the prince. Smash the stereotype to your heart’s content, John Lasseter. But the “fate” of which the tagline speaks is marriage. There’s nothing wrong with marriage! Forced marriage, sure. But not marriage itself! Do we really want to teach our little girls that turning their moms into bears and nearly causing a tribal war is what you have to do to get out of marriage? Really? Unfortunately, though the visuals were stunning and it was certainly different than anything they’d released before, the characters were one-note and the story lacked depth. 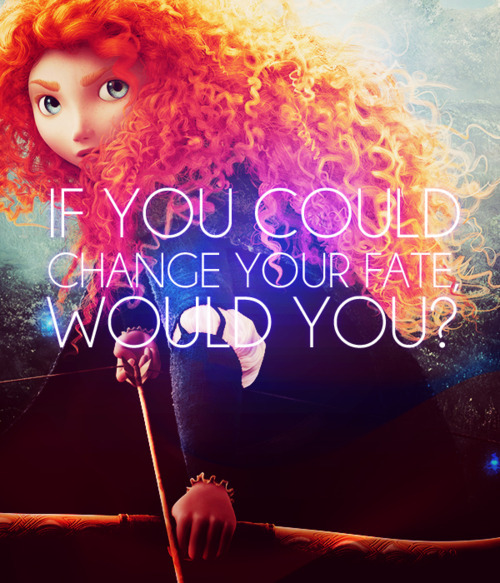 Merida was her own antagonist and they didn’t explore the issues enough to make her struggle convicting. It was a huge opportunity to shift the paradigm and all they managed to do was make me appreciate Tiana, Rapunzel, and the traditional princesses more. This entry was posted in Uncategorized by abbyandeva. Bookmark the permalink. My Mom and sister took Mea and her cousins to go see this the other day, and the report that I got back from Mea was, “I stayed awake for the whole thing!” This is always an accomplishment, since she normally falls asleep. Lol! Yes, staying awake is a big deal! I STILL cry uncontrollably at “Up” every single time we watch it. To the point where I now consider skipping straight to the scene where Carl gets out of bed without watching anything else first! I very much disagree… not with everything. Me and Nick were Thrilled that once the first 30 mins were over, we didn’t know what was coming next. We had No Idea it was gonna be about a mother daughter relationship. They Both learned and grew, and at the end had such a strong bond. I also Love that ‘Momma Bear’ saved her daughters life. The daughter Also had to Defend her Mom. How many Real daughters Need to know their mom would Die to protect them? Also by the end, the daughter was no longer a whinny child. Again, I thought I knew how the story was gonna go, and I was thrilled it was something else. And UP…. Tears just thinking about it! I’m not sure I totally agree either. I really liked it – sure it isn’t Up (nothing will ever be Up), but I liked the mother-daughter relationship theme. I even left the theater determined that I will adopt a daughter whenever next time occurs. I might be partial due to the Scottish side of my genealogy. I actually think that Merida’s monologue prompted by charades from her mother says that marriage should be based on love and the ending leaves it open for one of the “princes” to win her heart maybe. I don’t think it was an anti-marriage statement – possibly an anti-arranged marriage statement. I heard that this is the first Disney movie with an intact family unit – I can’t think of any others. We actually got to see a loving adult marriage in this one. Just my thoughts…. I think it was good – maybe not equal to the bar set by Up, but still good. I think a lot of people expected something specific from Brave and are not appreciating what it is from disappointment over what it is not. It was a good movie. 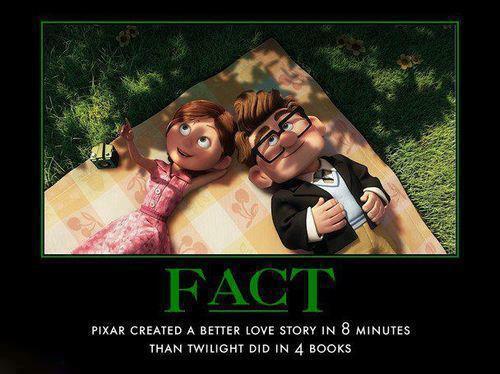 It is the first Pixar movie that features an intact family unit, but there are married parents in other Disney movies. I definitely had expectations for this movie based on the best of Disney and Pixar. But even if you restrict comparing it to the most recent Disney princess movies instead of the best of Pixar, the story falls short–in my opinion. And my opinion is highly influenced by the dynamics of Merida and her mother, Elinor’s relationship. I probably should have elaborated on my statement that Merida was her own worst protagonist. I really think the story was driven by her internal desires and her external conflict with her mother and I guess I just really felt like the conclusion/resolution fell flat. It just didn’t have the layers of gravitas I expect from the Disney cannon.